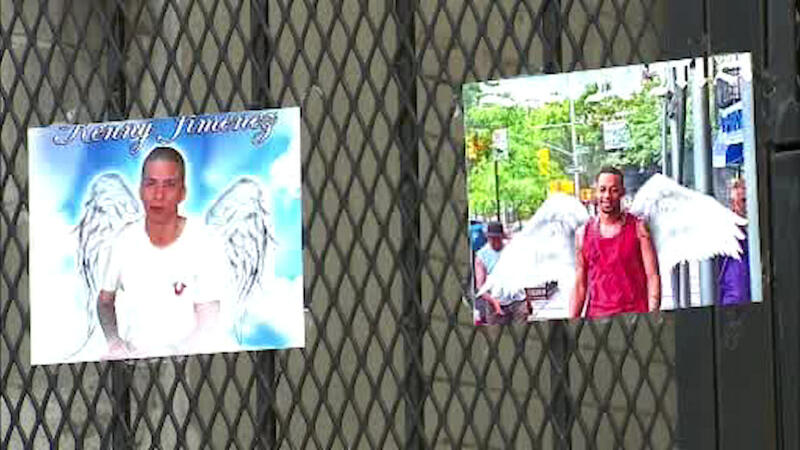 HAMILTON HEIGHTS, Manhattan (WABC) -- A community is remembering a cold case murder two years later. Family members, friends and community members of the two murder victims gathered at the scene of the crime in Manhattan. 21-year-old Kenny Jimenez and 29-year-old Francisco Mercedez were shot and killed outside a deli on 151st and Broadway in Hamilton Heights. "Our hopes after today are that the light that we are shining on the crime, somebody will call anonymously, or we can get somebody to come to the cops, or even to us," said Carolina Jimenez, the victim's sister. Family members say they were encouraged by the turnout Wednesday night. They hope to increase the reward money for someone who helps solve the crime.